Air101: Two drink limit at airports demands Ryanair, yet reserves the right to sell as much as it can during the flight. Two drink limit at airports demands Ryanair, yet reserves the right to sell as much as it can during the flight. The Chief Marketing Officer for Ryanair, Kenny Jacobs has bashed out the airlines demnand that airports should have a two aolcoholic drink maximum for any passenger prior to a flight. 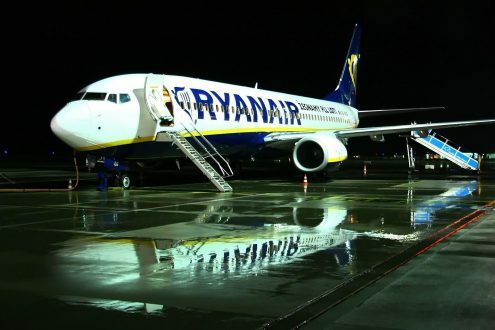 Speaking to Irish media Jacobs said the two drink limit at airports could be enforced through boarding cards, however, Ryanair wanted to still be able to service the person alcohol once on the aircraft! Mr Jacobs also indicated the possibility of his low-fare, high-fee airline banning the sale of alcohol on its flights before 10am. His remarks came after reports of a Ryanair flight having to divert to Paris on Saturday 16t June due to drunken passengers. Many airports have decried Jacobs comments, Dublin Airport said the demands were “highly draconian” and suggested that only a “very, very small minority of airline travellers” caused problems. A duty manager at Ryanair's main London base said that if the airline was at all serious about cutting so-called 'air rage' incidents it would stop selling alcohol on its flights. "They should also stop incentifying staff to sell booze during flights, they actively encourage passengers to get drunk onboard." Ryanair said "It is incumbent on airports to introduce these preventative measures to curb excessive drinking and the problems it creates, rather than allowing passengers to drink to excess before their flights. It’s completely unfair airports can profit from the unlimited sale of alcohol to passengers and leave the airlines to deal with the safety consequences." 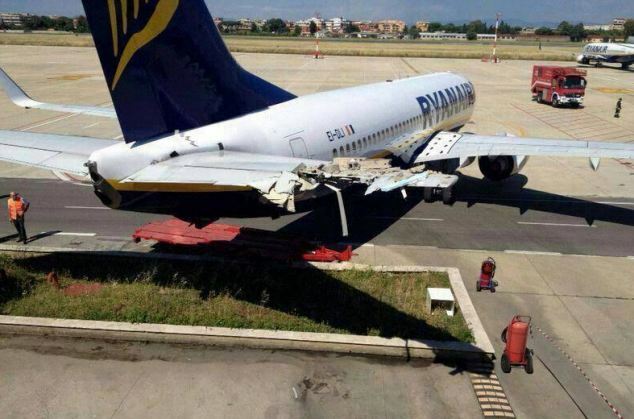 Ryanair, like all airlines, can deny boarding to any passengers they deem to be too drunk or incapacitated to fly for both safety and security reasons. Alcohol sales account for more than 70% of all in-flight sales on Ryanair flights. Ryanair says there has been a 600% increase in disruptive passenger incidents in the UK between 2012 and 2016.